One of the best things about New York: Rain or shine, the city never slows down. Here’s a play-by-play on what to see, do, and eat in NYC when it’s pouring out, because there’s no need to let a rainy day dampen your visit. Bonus: All of these spots are within an easy 15-minute walk of Mondrian Park Avenue — just don’t forget your umbrella. 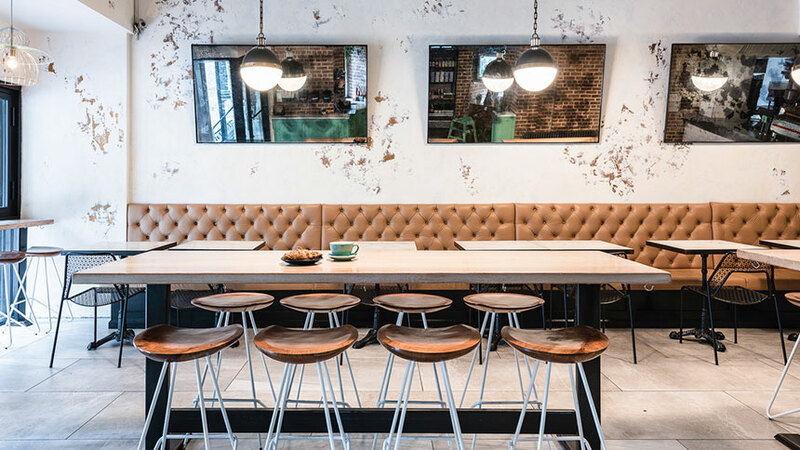 Start your day on a healthful note at this adorable café, outfitted with tan banquette seating, exposed brick walls, and industrial lighting pendants. The coffee drinks are made with house beans from Devoción, the world’s only farm-to-table coffee brand, and the food is bright and nutritious (think avocado toast, egg scrambles, and breakfast bowls). 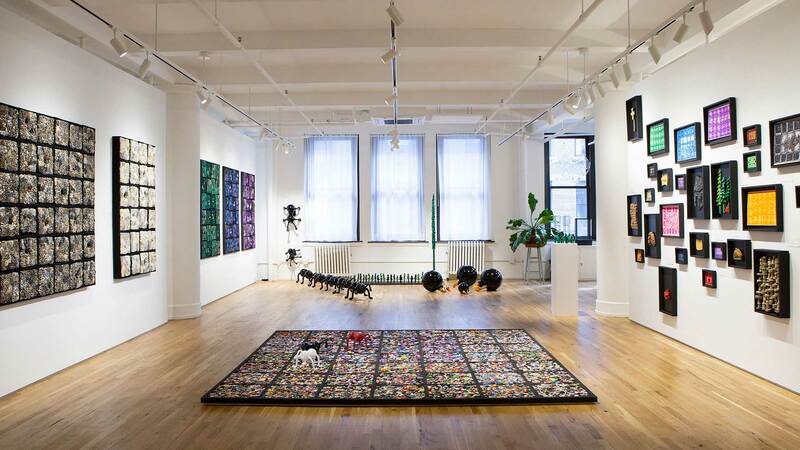 Opened in 2001, this sweeping, 6,000-square-foot space is the vision of veteran gallerist Cristina Grajales. Inside, you’ll find a strong showing of contemporary art and cutting-edge design — many works blur between the two disciplines. Swing by right when it opens, so you can enjoy the gallery without the usual crowds. Bibliophiles will flip for this independent shop, considered by many to be one of the country’s best. 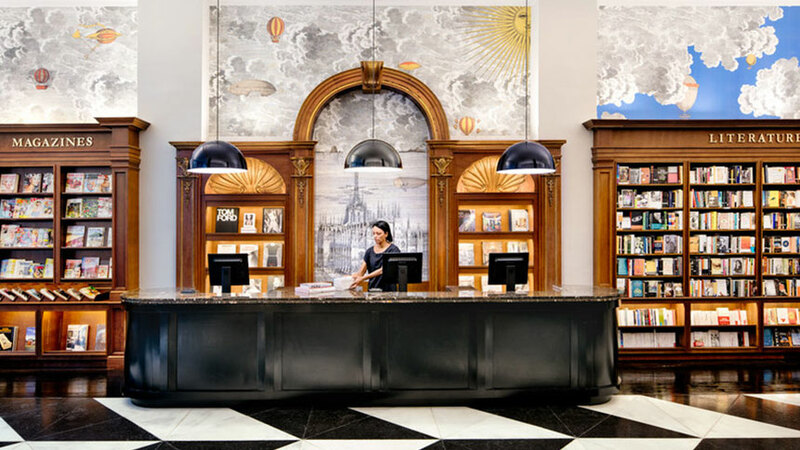 Though you won’t have any problem tracking down a good read, Rizzoli’s established a name for itself by specializing in gorgeously shot, oversized books on fashion, photography, design, and travel. Because no visit to New York City would be complete without a proper pie, head to this rustic eatery for some terrific wood-fired pizza. What’s especially noteworthy here are the eight different dough options, ranging from an organic stone ground to kamut. Coffee isn’t the only post-lunch pick-me-up you’ll find in the city. Matcha, the Japanese finely milled green tea powder, is what’s got New York buzzing lately. 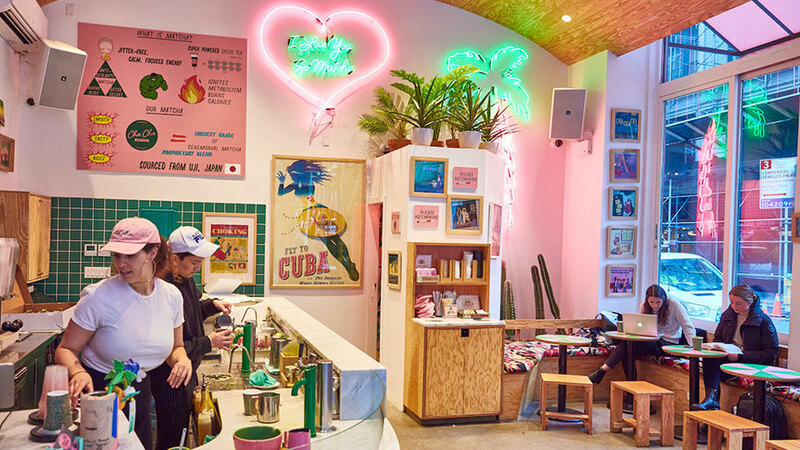 This jewel box of a café features a whimsical decor — it’s impossible not to snap a photo — and a simple menu of matcha-based drinks and snacks. To power up your afternoon, grab a Coconut Matcha Latte to go. Carve out some quality time with yourself at this contemporary wellness space, kitted out with the latest and greatest. Whether you decide to realign your body’s chakras on the Sensory 7 crystal bed, sweat it out in the infrared salt sauna, or promote a deep state of relaxation with a CBD massage, you’ll leave feeling refreshed and balanced. 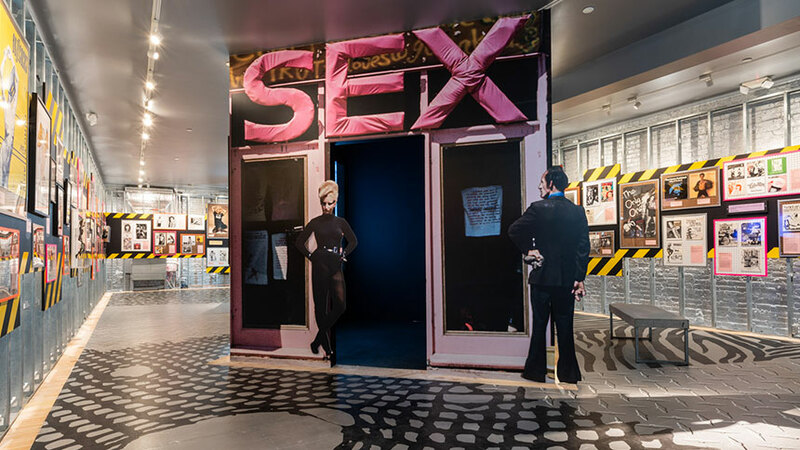 Frequently referred to as MoSex, this museum has dedicated itself to making the topic of human sexuality approachable, accessible, and fun since 2002. There’s always a provocative exhibit or two on display, along with a famous shop, should you want to continue your education discreetly at home. Given its soaring popularity and snug size (there are only 34 seats), the best way to snag a spot at this swanky, subterranean cocktail den in the Radio Wave Building is to swing by on the early side. Be sure to try a couple of the original cocktails, which thoughtfully change with the seasons. 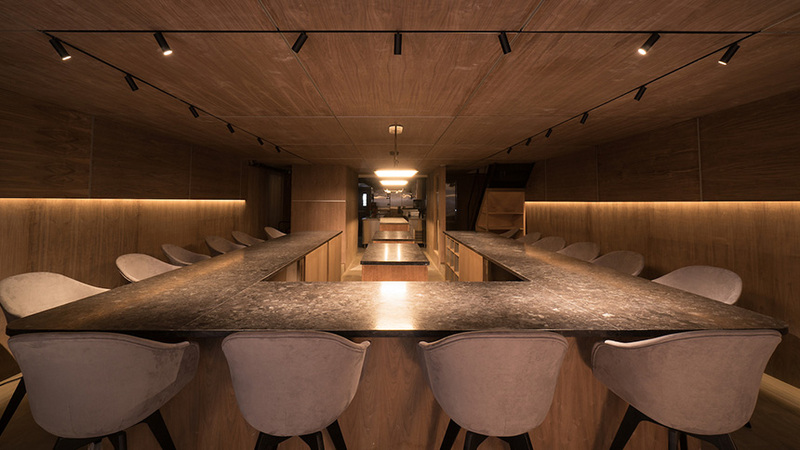 Even though it only opened last summer, this contemporary Korean restaurant by the husband-and-wife team of Junghyun and Ellia Park has quickly climbed to the top of critics’ lists. An evening at Atomix features a lavish tasting menu, complemented by positively pretty Korean-inspired plates, faultless service, and incredibly chic design. Reservations are a must. Before you hit that dreamy bed for a good night’s sleep, zip up to the hotel’s rooftop lounge for a spirited nightcap and sparkling views of Manhattan.